Unlike most of the places where I’ve been cruising on this trip, marinas are all over the place in the Broughtons. These aren’t Alaska style marinas where pleasure boats and work boats coexist in huge numbers. Instead, they are small, mom-and-pop type marinas, often with just a few long floats for visiting boaters only. Anyway, Kwatsi Bay came highly recommended by several people so I headed down Tribune Channel for it. 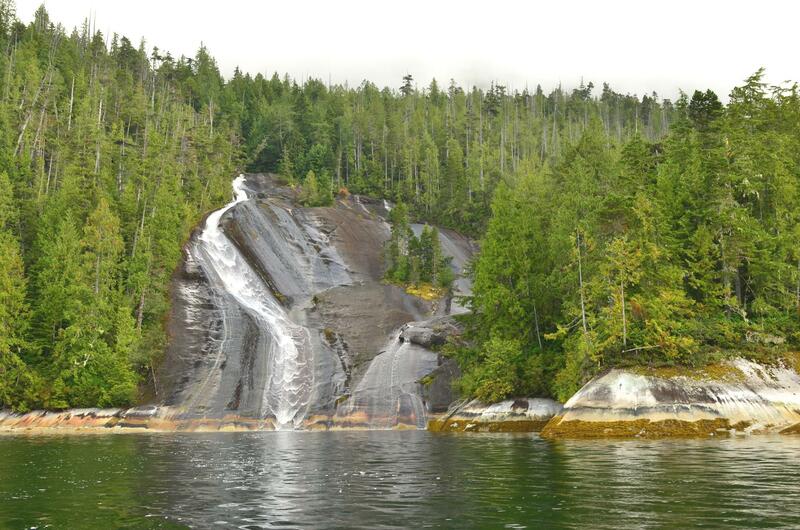 Lacy Falls, in Tribune Channel, is perhaps the most recognizable landmark in the Broughtons. It’s a huge swath of smooth rock that drops right into the water. I swung by it on my way into Kwatsi Bay and it is beautiful. I put the bow of the boat within a few feet of the rocky face and enjoyed the view for a bit. This time of year there wasn’t much water, but it was still impressive. 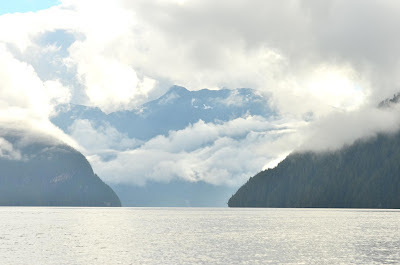 Kwatsi Bay is in a spectacular, fjord-like location. The marina is primitive, but everyone is friendly and it’s a nice stop. The sun came out in the afternoon and I enjoyed relaxing in its warmth!